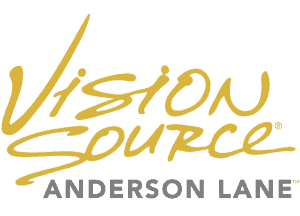 At Anderson Lane Vision Source, we all feel so fortunate to have the opportunity to take amazing, thoughtful, and anticipatory care of the eyes of our patients. 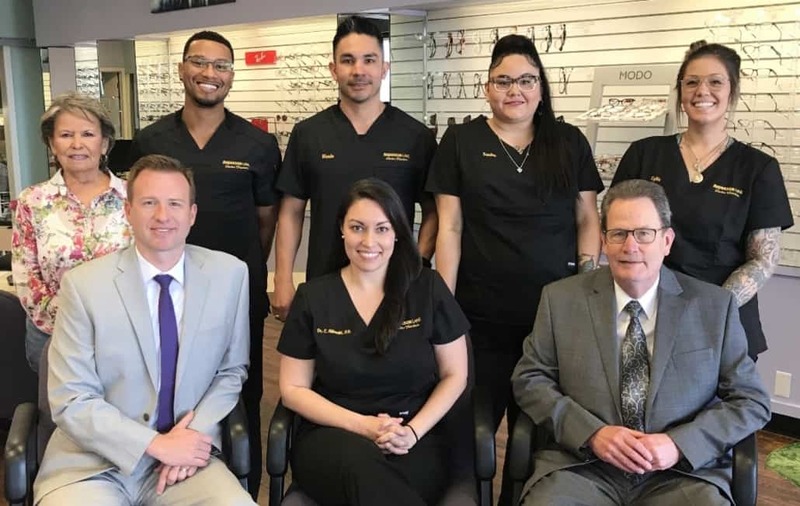 On this page you’ll hear from some of our many happy customers on why they feel that we’re the hands-down best choice for eye care in North Austin. We hope to have the opportunity to serve you and your family’s vision needs very soon! Thanks for taking a look! I recently saw Dr. Adam Drees for a consultation. He is extremely professional and knowledgeable. He was very supportive in helping me transistion to contacts. I had problems getting them in and out and he even responded to a weekend text. He never made me feel bad about not getting the hang of it right away. I would highly recommend him to anyone looking for a top notch optometrist. Don’t know what planet these other people are from but absolutely nothing wrong with this place. Customer service is great and the doctor is very nice and easy to get an exam from. It is a little on the pricey side, but like the old saying goes, “you get what you pay for”. And in this instance you get quality customer care and service from an outstanding staff and it is well worth the few extra dollars. Dr Adam Drees is actually amazing! I went to him a few weeks ago for the first time. From the moment that I walked in, I felt at ease. High tech, thorough, and easy to work with, I left very pleased. Today I had the LASIK surgery and Dr Drees called to check up on me. If you want a very thorough, modern, and down to earth optometrist, go visit Dr Drees. The staff and Dr. are great!! I’m recently getting fitted for contacts and found out that I have a slight astigmatism in both eyes. Dr. Schaper has been very patient with me and has listened to my concerns, what works and whats not working and is ajusting my prescription accoringly. He can be a little dry but that is ok when he is competent and knowledgeable and takes the time to make sure things are right. I will be back in the future. I haven’t encountered the issues others are stating about staff. They have always remained professional and courteous towards me. At the end of the day, I go somewhere bc of the Dr, not the staff. They also appear to have a decent selection of frames. Will probably get my nect frames from them. I’ve been going to Dr. Schaper for over 10 years and he has been great. Very professional, thorough and patient with all my questions. Very good experiences with Dr. Schaper and staff. Always have been fast and courteous, apt on time, etc. I appreciate Dr. Schaper’s competence and expertise. Nice efficient office with friendly staff and good selection of frames. My family has been coming here for years. I really appreciate the quality glasses and services we receive. Excellent care for a great price! Friendly & and anxious to help. I was temporarily “handicapped” and they were happy to come to the curb and fit my glasses in the car. Thanks so much! Please don’t let the whiny reviews put you off. Read those and you’ll know it’s not a reflection on their care or quality. I have been seeing Dr. Schaper for 7 years and keep coming back , despite the fact that I don’t live near the office, because of his thorough, patient, and helpful assessments and recommendations. The team at the front office has always been friendly and helpful. Recently I had to call to get my prescription emailed to me again and they did it immediately. Very happy with Anderson Lane Optical. These guys were great! They got me in as a walk-in, were very thorough, and answered all my questions. I was out in less than 45 minutes. Dr. Scraper was very cordial. I’ll be back! Amazing, helpful gentlemen working here! They will treat you right and get you into the glasses you need! I was pleased with 2 appointments. Staff and both doctors were friendly and thorough and spent ample time with us. The appointments were much longer than I expected, but I greatly appreciated the extra time they took helping my son work with contacts. It was not time wasted. I saw Dr. Schaper for myself and he conducted a quality exam and confirmed my prescription without any hidden costs. The staff was fine and I did not have to wait long to begin. Dr. Dres and his team saw my son for his first eye appointment as a teen and I thought it went great. Everyone was supportive of his nerves. I wish I had the same patient help when I was that age getting my first contacts. They even double checked my insurance details just to be sure I was right about not having some coverage on things. I thought that was nice to make the effort, after I already assume I needed to pay out of pocket for my own exam. Nice people! A dog broke the sunglass “clip ons” to my glasses. A different dog had destroyed my $600 Stars in Your Eyes prescription sunglasses a few weeks earlier. That wouldn’t be a problem except that the sun has finally come out in Austin and I had no sun protection for my eyes. I thought that I could just waltz in to Stars in Your Eyes and my problems would be solved. Not so – the only optician was still at lunch at 1:15 and the dollars that I have previously spent there meant nothing to the receptionist – left alone to deal with the public. So the next day I went to Anderson Lane Optical with limited expectations. It took the gracious lady a while to fix my $90 clip ons, but fix them she did – and for free! My wallet has a long memory. Took my parents, ages 84 and 90 here. Dr Schaper was fabulous — extremely thorough and patient. They both got glasses, and I went back myself for a routine checkup, dilation, tonometry, and field and acuity exams and ordered contacts. One of my children has regularly seen ophthalmologists for twenty years because of a vision disorder. Dr Schaper’s exam could stand up to any of those. The office staff was friendly and professional. Glasses and contacts were ordered, and I was called to pick them up. I will certainly return. Dr. Drees does a fantastic job of making you very comfortable with the process of eye care. After visiting with him for a short time, it is easy to feel confident in his expertise and trust that he has your best interest at heart. The eye exam was extremely thorough and Dr. Drees went to great lengths to explain the process and his findings. I am happy to refer Dr. Drees to anybody I know. My husband and I are both patients of Dr. Drees. He is personable, thorough, knowledgeable and caring. And his customer service is excellent. We love our eye doctor! Doctor was great, most doctors say I have some of the worst vision they’ve ever seen and I end up having to pay ~$400 for a box of contacts. This doctor managed to get some Acuvue contacts that work great and now I only pay $30 a box. I’ll never go anywhere else. The doctors and the staff here are always so friendly. The ladies at the front greet you when you come in and I sincerely think they were almost as excited for me as I was when I picked up my glasses last week! Dr. Adam Drees is not only a very thorough doctor, and found a freckle at the back of my eye he is keeping an “eye” on…ha, ha. His true desire to care for me and my children has been so refreshing. My 11 year old son got contacts and the GRIN on his face after receiving this eyeglass freedom was worth a thousand words! Dr. Drees has a wonderful operation, staff and really goes above and beyond in customer service and making sure you are happy, healthy and can see perfectly! Today was my very first visit here and I will definitely go back. The staff is very friendly and seems to go the extra mile to help you get what you need. I saw Dr. Hearn and LOVED her…she was very sweet and very thorough. Now I can see, I learned things about my eyes that I didn’t know before and I have picked out a rad pair of glasses from their large selection…I even called my dad after my appointment to recommend them to him. He was the only eye doctor that could figure out I had inflamed cornea’s. I went to several eye doctors in th course of a year and a half and it took him ten minutes to examine my eyes and tell me what was happening. My cornea’s are perfect and I can finally see. He is truly an excellent eye doctor and would recommend him to anyone! Dr. Schaper is the Best! Super friendly staff, and very professional. Highly recommend. I’ve had problems with my eyes for several years, (dry eyes and irritation). After seeing an ophthalmologist and not getting the results I was looking for, I thought hope was lost. I saw Dr. Drees for a standard eye exam and contact fitting and discussed some of my eye problems. He listened to what I had to say and made a great recommendation for a new type of treatment. It’s worked great so far! Dr. Drees is a younger doctor who takes advantage of technology to offer the best treatment with the most up to date equipment. Max S.5-Star Review for Dr. Drees from Yelp!